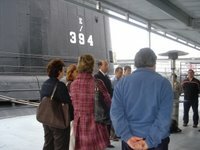 USS Hoga will depart her Reserve Fleet berth in Suisan Bay, CA today, 28 November, 2006 at about 1:00 p.m.
Hoga will be towed by Frisk Towing to the BK Cooper Terminal, Berth 15, Mare Island, in preparation for her trip through the Panama Canal, across the Gulf of Mexico to New Orleans and the up the Mississippi River to North Little Rock. She is currently scheduled to depart Mare Island on or about the 20th of December. We apologize for not getting the word out sooner, but final details such as insurance and coordination with the Navy took longer than expected. We are VERY excited to finally get Hoga started on her journey to her new home. We will post pictures as soon as they are available. We will be open Saturday from 10:00 a.m. to dusk and Sunday 1:00 p.m. to dusk. 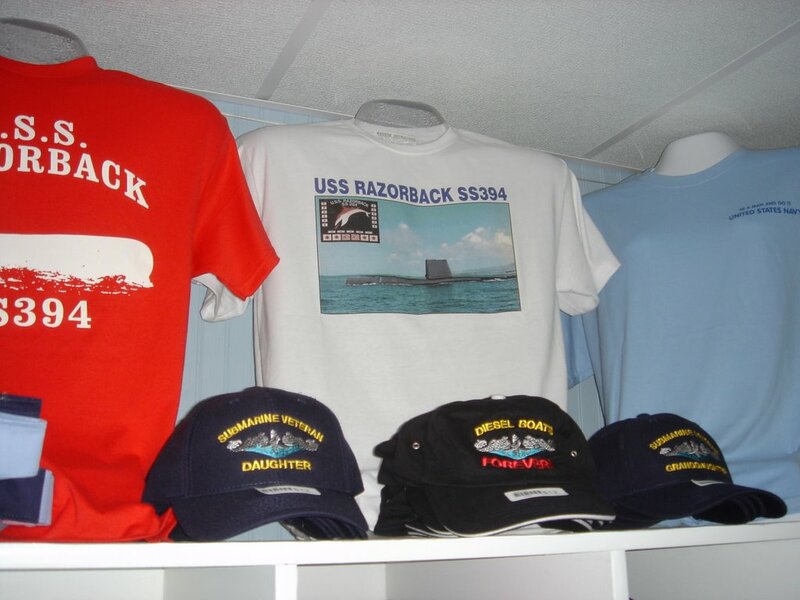 After a day of eating and a day of shopping, bring your out-of-town visitors to tour USS Razorback and visit our museum. New artifacts have been added, just this week. On 16 November, 1943, while on her first war patrol south of Truk Island, USS Corvina (SS 226) was torpedoed by the Japanese submarine I-176. All 82 officers and crew aboard Corvina were killed. Postwar analysis revealed that I-176 caught Corvina on the surface. I-176 fired three torpedoes at the surfaced submarine. 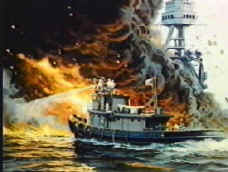 Two torpedoes struck home, causing "a great explosion sound"., according to the report filed by the Japanese submarine's Commanding Officer. Corvina's loss would be avenged. I-176 would be later sunk by U.S. forces on 16/17 May, 1944. 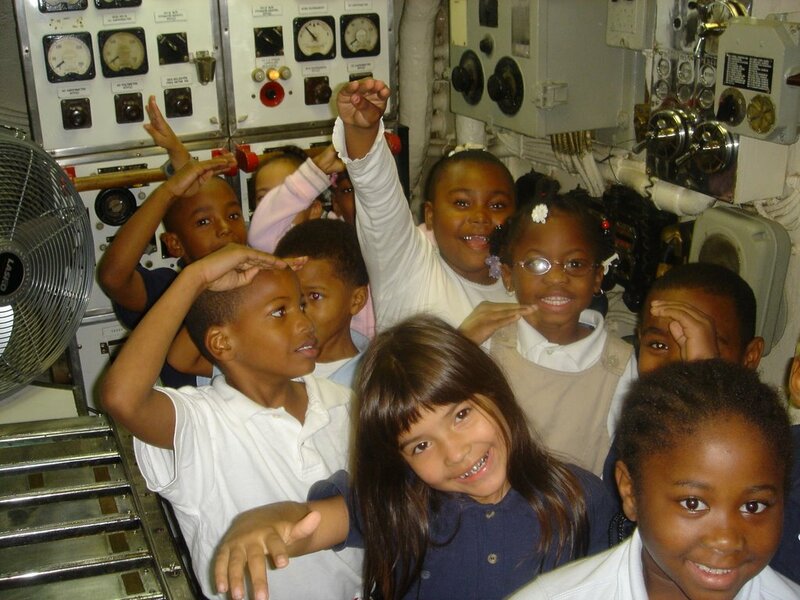 On Friday, nearly 100 students from Rockefeller Elementary School learned about life under the sea. 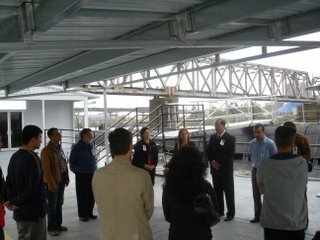 Here a group salute the service of our veterans while visiting the maneuvering room of Razorback. They all went away with lots of new knowledge and coloring books and crayons courtesy of AIMM and Commander Zonner. If you are interested in having your school visit AIMM call 501-371-8320 or email info@aimm.museum. 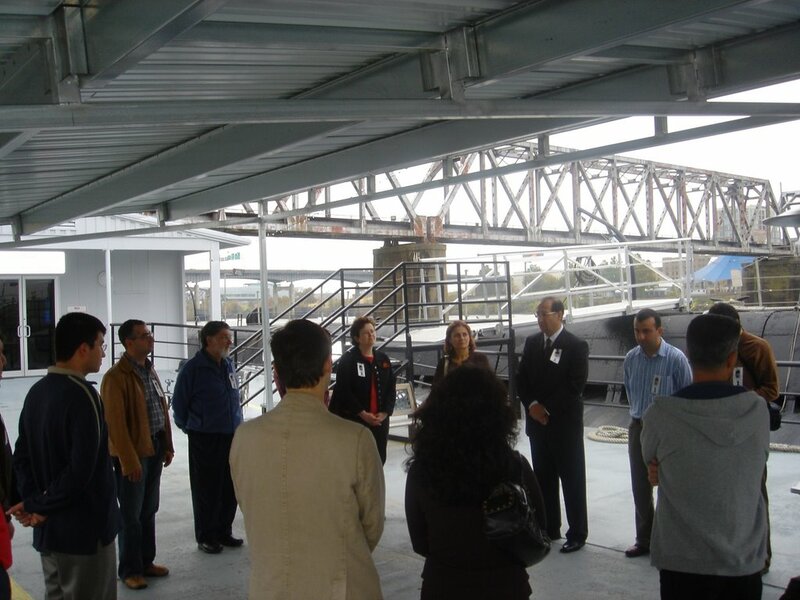 Coskun Bayrak, PhD, of the University of Arkansas at Little Rock and a group of students from UALR held a brief ceremony on the deck of USS Razorback / TCG Murat Reis to honor the memory of Mustafa Ataturk, the founder of the Turkish Republic and its first President. Dr. Bayrak and the students toured the museum, which features many artifacts from Razorback's service in the Turkish Navy, including uniforms and a portrait of President Ataturk from the Officer's Wardroom. 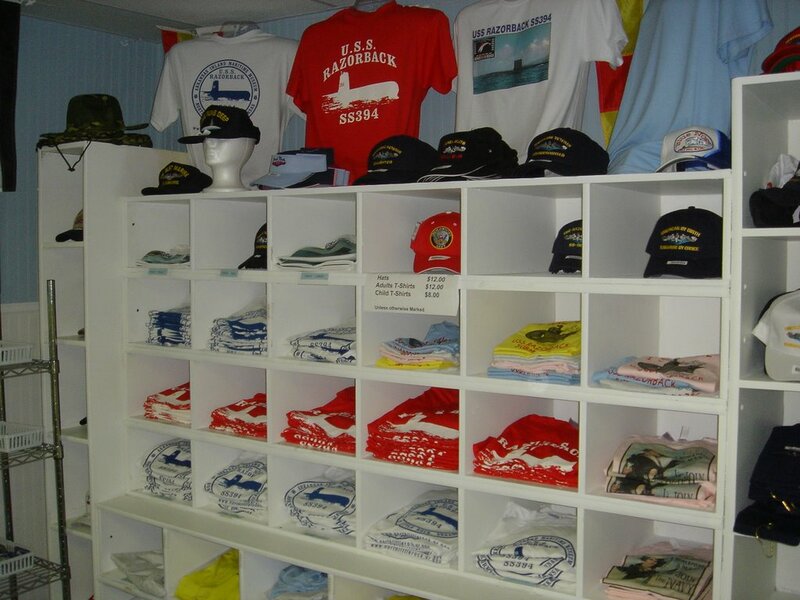 Drop by and pick up a gift from our freshly stocked Ship's Store at the Arkansas Inland Maritime Museum. Now is the time to get those stocking stuffers for the submariner or submariner lover in your life. There are great gifts for men, women and kids. Come on down! 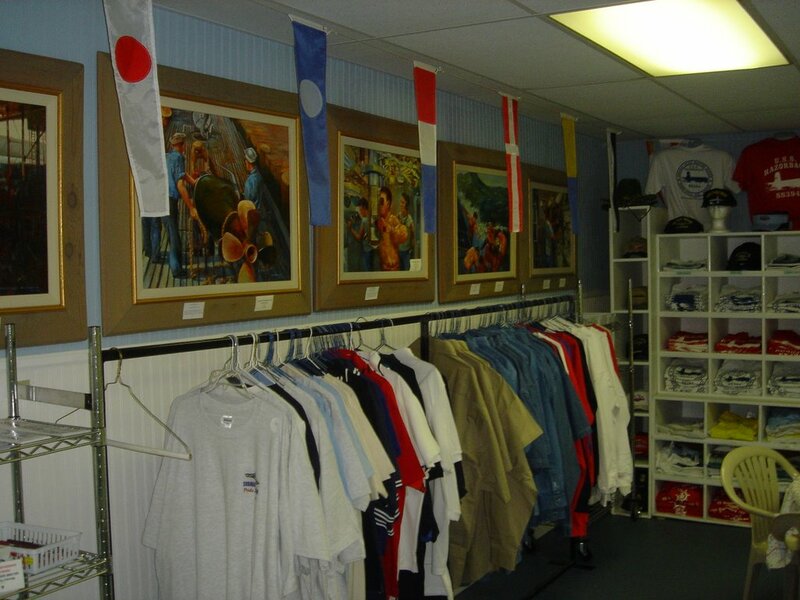 Many of these items are also available through our Web Store. Secure Credit Card payment is available through PayPal. More items available soon!